Lots of us who are self-employed editorial professionals once worked in a corporate office. Remember the bosses who seemed to think that they’d get more work out of you by browbeating you or being condescending? Those techniques were always spectacular failures, weren’t they? In our roles as consultants, we’ll get results from our authors that are just as poor if we don’t treat them respectfully and as more than just income sources. First, we must have an excellent manuscript-side manner. It’s painful enough for authors to see that we’ve red-lined (or blue- or purple- or green-lined) the prose they worked so hard to produce. It’s worse if our queries imply that they should have known better or that they’re wasting our time or that we’re intellectually superior to them. If you’re a parent, you’ve likely learned that you get better results when you respect your children’s feelings when you’re trying to get them to do something. Things work the same way with authors – or with anyone, really. If you want your authors to buy into the edits you’re suggesting, you have to get into their heads and see things from their point of view, talk to them respectfully, offer solutions politely, and, whenever possible, sincerely praise things in their prose that they’ve done well. Never, ever come across in your queries as a scolding parent or teacher. Second, to do our best work and to keep authors coming back to us with more projects, we have to see them not as sources of money but as people with feelings and varied interests. When authors feel that we respect their writing and the effort that it costs them, they are much more likely to not hate – and perhaps even to enjoy – working with us. I always find something to talk about with my authors, such as conferences they’re going to attend and presentations they’ve made. I congratulate them on their publishing successes and job promotions. A large portion of my authors are physician-researchers who are non-native speakers of English trying to get their articles published in US and UK English-language medical journals. I’ve researched the major national holidays for these authors’ cultures, and I email holiday wishes to the authors, thanking them for continuing to return to me with projects. Every time I finish projects, I thank my authors for the privilege of reading their work, and I ask them to let me know when their work gets published so that I can congratulate them. And then I follow through. By doing these things, I maintain a loyal clientele of more than 60 such authors from all over the world. In short, if you follow what I call the Copyeditor’s Golden Rule – edit others as you would like to be edited – you will never lack for clients. Katharine O’Moore-Klopf, ELS, has been in publishing for 28 years, the first 11 as a production editor for various publishers, and since then as a full-time freelance copyeditor. She is a medical editor with a specialty in editing manuscripts written by non-native speakers of English. Her editing has helped researchers in more than 20 nations get published in more than 30 different medical journals. She has written about editor–author relationships for the journal Science Editor and for the Copyediting newsletter. She is also creator and curator of the Copyeditors’ Knowledge Base, which is housed within her business web site. On Twitter, she is @KOKEdit. Websites for Editorial Freelancers – Why? How? What? This Roundup offers some links and tips for editors and proofreaders who don’t have their own websites but are thinking of taking the plunge. Ensure you have some sort of analytics program keeping tabs on each page of your website (e.g. StatCounter or Google Analytics). That way you can see which pages are most popular. This is particularly useful if you have a blog or are using your site to curate a host of resources that you regularly promote. Allow your readers to share the content of your site easily by adding sharing widgets (Facebook, LinkedIn, StumbleUpon, Twitter, etc.). Three providers that offer a widget with a range of sharing options are AddThis, shareaholic, and ShareThis (which I used to get the hovering widget on the right-hand side in order to avoid taking up space on the actual blog pages). If you want to minimize reliance on drop-down menus and instead advertise key areas of your site, buttons can be useful for helping viewers access pages easily. If you’re not keen on designing them yourself, try something like CoolText Logo and Graphics Generator. After you’ve generated your custom buttons, simply link the graphic to the relevant page on your site. Customize your 404 page – that’s the page your viewers see if there’s a broken link. Keep it linked to your main theme, offer some suggestions of how to fix the problem (such as providing a link to your home page), and consider adding in a contact form so that people can get in touch to find what’s been lost. I elected to add a 'search this site' button (see below) to help readers locate what's missing. Read this article by Stephanie Hamilton for some helpful tips. To see my 404 page click here. If you have a lot of information on your site (if you have a blog, for example) consider adding a search tool. Some providers offer this as a built-in ad-free function. The Society of Indexers, the British and Irish professional body for indexing, offers an excellent online guide entitled Last but Not Least that thoroughly explains the value of a professionally produced index. This free publication is a must-read for anyone who needs to find, commission and brief a professional indexer. If you have a Facebook profile but haven’t created an additional business page on which to advertise your editorial services, you might be missing a trick. This is a free platform on which you can promote your editorial business online. When someone searches online for editorial services, they might find your Facebook profile before they come across your other links. Editors and Proofreaders, and the American Copy Editors Society, to name but a few). post industry news that I think will be of interest to others working in my field. A new timeline layout will become the default setting on 30 March 2012. With this design you can now pin featured articles to the top of your timeline for up to a week. You can also highlight key posts so that they fit the width of your page. Older posts that you wish to re-feature can be moved into your current timeline by simply changing the date. All the admin tools are available in one area at the top of your page, which only you can see, making management of the site much easier. Take a look at this article by Mari Smith for more useful tips and tricks: Facebook Timeline for Business Pages – 21 Key Points To Know. Under the profile picture on your personal page, you have the opportunity to fill in the “Works at” section. You can link this job description to an additional “page”, thus creating a separate professional profile. Creating the business page is a doddle. Click here and follow the simple instructions on how to set one up. A step-by-step video tutorial is available here. This shows you how to get the best out of your page layout and use functions such as pinning, highlighting, and date changing. With the old layout you had a photo strip with slots for five separate images that appeared randomly each time someone visited your page. The new design of Facebook pages matches the timeline layout on your profile page. The photo strip no longer exists and instead you have one large image across the top of your page. Note that your new image needs to be 850 high and 315 pixels wide. There are restrictions to what you can include. Web addresses, discount offers, and other such "commercial" messages are not allowed. I elected instead to feature the book jackets of some of my favourite proofreading projects over the past few years. The new layout offers much more flexibility in terms of how you promote yourself visually. You could use your company logo instead of a thumbnail photo of your face, for example. Or you might use the large image space to create a montage of the clients you work for or other key groups/societies that you support. Click on image to visit my Facebook business page. If you want to promote your Facebook business page, or indeed your profile page, it’s advisable to simplify the link and set up a more user-friendly custom url. I changed mine from "facebook.com/pages/Louise-Harnby-Proofreader/328476347180231?sk=wall" to "facebook.com/LouiseHarnbyProofreader" – a significant improvement. It’s very easy to do but think carefully about what you want your url to be before you confirm the new user name – you can’t go back and change it later. Click here for Facebook’s simple instructions. Unlike my profile page, my business page is fully public. I never use this for personal banter with friends or family – its focus is purely professional. This is important because, as far as I am aware, posts on one’s business page are always public. Thanks to some excellent advice from my Australian colleague, Wendy Monaghan, I have decided to allow people to post on my page but with a restriction - all posts by others are confined to a single box in the right-hand corner, meaning the overall layout of my chosen content is still in my control. To manage your settings in this way go to Manage and Edit Page. Then, under Posting Ability, check "Everyone can post to <your page name> timeline" and, under Post Visibility, check "Show the box for 'Recent Posts by Others' on the top of <your page name>". The new timeline design of Facebook pages doesn't match the functionality of a website, nor is it meant to. It is a vast improvement on the old layout and allows for a more professional and eye-catching presentation of your services. If you’re already using Facebook, why not take advantage of this feature? It won’t cost you anything to add this to your online marketing tools. And it’s one more public platform on which a client might find you. Have you discovered any useful ways of enhancing your professional profile on Facebook? Please share your tips in the Comments section. A short question on this blog about which training course I would recommend for someone considering a career in proofreading prompted a rather long reply from me. It made me realize that the issue deserved a post of its own. ​Please note that this article isn’t designed to recommend one particular course over another. What you choose will depend on a number of factors, e.g. location, career stage. ​Readers of this blog who’ve searched my training archive will know the course I chose – the London-based PTC’s distance-learning course, Basic Proofreading. While I found this course to be outstanding, this accolade is based on my business plan, my place of residence, my knowledge of the market I chose to focus on, and my training budget. It won’t necessarily be the right choice for, say, a Belgian with a different niche market in mind, or a Canadian whose pockets are feeling a little shallow at the moment. Instead, the aim here is to give voice to some of the basic issues that are worth considering when choosing what, where and how to train for a career as a freelance proofreader, wherever you live and whatever your budget. ​The options are numerous. Distance learning and on-site; online and book-based; and DIY and professionally assessed. Some cost hundreds of pounds while other options cost less than the price of a family cinema outing. Googling for proofreading training courses throws up lots of information but little guidance on how to make a choice. Here are some ideas to get you on the right track. This is probably the best place to start. Get in touch with your national editing/proofreading society and see what they recommend. Their membership is full of people who were once in your position, so they will have some great advice to share, and at no cost. 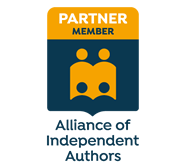 Visit my Editing & Proofreading Societies page to locate your national association or regional chapter. ​At what stage are you in the process? Consider what point you’re at in the process of your career change. Are you definitely looking to become a professional proofreader or are you at the earlier stage of considering it as one of several options? If the latter, you might opt for a cheaper, preliminary short course to see if the work suits you before you invest a larger amount of money in a more time-consuming distance learning course. If you've recently completed some training you might want to consider a mentoring programme. The SfEP runs a mentoring programme in the UK. Contact your national editing and proofreading society for more details on mentoring opportunities in your own country. You’re an ex-solicitor/attorney who’s decided that the law’s not your bag after all. You decide you want to focus on publisher clients, possibly those with lists in criminology, law and policing. Do some research to find out which houses publish in these fields and give them a call. Ask to speak to the production manager, or the person in charge of hiring freelance editorial staff. Ask that person what their criteria are for freelancers. They'll be able to tell you the training providers they recognize. They’ll also be able to give you some ideas about any experience or expertise they are looking for. You may be surprised to find that they accept a qualification that you hadn’t considered. And it may not be the most expensive one on the market. Even if you do find out that you would be better off going for one of the more expensive training courses, at least you know that it will be money well spent and that you’ll get the return on your investment once you start applying for paid work. Getting a feel for what publishers want is a good start because they are one type of client that is in a position to offer you repeat work. You’ve worked as an English-language teacher for years in a school or college, helping young adults improve their literacy skills. You decide to focus on independent fiction and creative non-fiction authors who are looking for the final polish before they submit their manuscript to an agent, in-house commissioning editor, or custom-publishing organization. You need to do the same research. Start networking with writers’ groups and online networks and ask the people themselves what training and experience they expect a proofreader to have. They may have a set of very different preferred externals based on their experiences of commissioning freelance editorial services. Join social networking forums such as LinkedIn where existing freelancers congregate and ask what training routes other freelance proofreaders in your country, who work with the type of client you’re interested in, took to get their careers off the ground. The point is to research your market and find out what people want and expect. Every training provider on the market will tell you that their course is the best, and they wouldn’t be doing a good job of marketing themselves if they claimed otherwise. Asking the end-users, however, is the key to ensuring you make the decision that best suits your business strategy. Assuming you’ve decided proofreading is the job for you, and you need a training course that is going to give you the confidence and readiness to do the job to a professional standard, find out whether your training provider offers an assessment element. It’s best to iron out the creases while you are training, rather than alienating unhappy clients further down the line. ​Or to quote an old proverb: What the fool does in the end, the wise man does in the beginning. This Spotlight features Edelweiss Arnold, Marketing Manager at The Publishing Training Centre (PTC), a UK-based and nationally recognized training provider. Edelweiss kindly agreed to talk to me about the history of the organization, and provided insights into the PTC’s mission to help both new entrants to the field and established publishing professionals further their careers through high-quality training. As a former student of the PTC, when working in-house and later as a freelancer, I was keen to know a bit more about the Centre’s origins. Edelweiss started off by giving me the back story. “The Publishing Training Centre is an educational charity that has been around for more than 30 years, and some of the best-known names in the publishing industry have attended training courses with us. We were born under the auspices of the Publishers Association (PA) and our first courses were run under their banner. Sir Stanley Unwin’s charitable trust identified the need for quality, professional training for the book and journal publishing industry, and his son, Rayner Unwin, took up the challenge. The trust bought a beautiful old building in southwest London, which was formerly the Municipal Works Offices of Wandsworth. The building was renamed Book House and a number of book-related charities moved in. I then asked Edelweiss about the PTC’s current training programme. In a previous post on this blog, "Does Training Matter? What Publishers Say about Proofreading & Editing Courses", I interviewed a number of publishers specifically to find out what they considered to be the preferred editorial training courses in the UK. The PTC came up time and again as one of the most trusted UK external providers. So, more broadly, what’s on offer? Classroom-based training doesn’t suit everyone, particularly if you don’t live locally and have professional and personal demands on your time. Some people may worry that an intensive short course may not give them the time to absorb all the material. They may also want to study in their own time, with the assurance that the training is going to prepare them for the market. I wanted to know what the PTC’s distance learning courses offer for the fledgling editorial freelancer beyond the classroom programme. “The distance learning courses are designed not only to give students a comprehensive understanding of the subject matter, but also to prepare them to take on work on a freelance basis,” explained Edelweiss. “The courses are assessed and certificated, and they count towards accreditation from the Society for Editors and Proofreaders (SfEP). Our distance learning programmes are evaluated via the Publishing Qualifications Board, a subsidiary of The Publishing Training Centre that was set up to provide assessed qualifications in publishing skills. An important issue for many students undertaking any sort of training is the reputation of the provider. As the conversation wrapped up, Edelweiss emphasized the importance that the PTC places on its professional links to the publishing industry and how these impact on students: “Our reputation as the foremost trainer of publishers in this country also means that our alumni have a qualification that will be recognized by clients they approach within the industry. We also have very close ties to the SfEP, the PA and the IPG (Independent Publishers Guild) and we are involved in Skillset’s current project to update the National Occupational Standards for the publishing industry. Reasons for Training: Society for Editors and Proofreaders. Education and Certification section of KOK Edit’s Copyeditors’ Knowledge Base. Training archive: here on The Proofreader’s Parlour. Resources: visit the Editing & Proofreading Societies page to find your nearest editorial association. Explore their sites to find the latest advice on training opportunities near you.